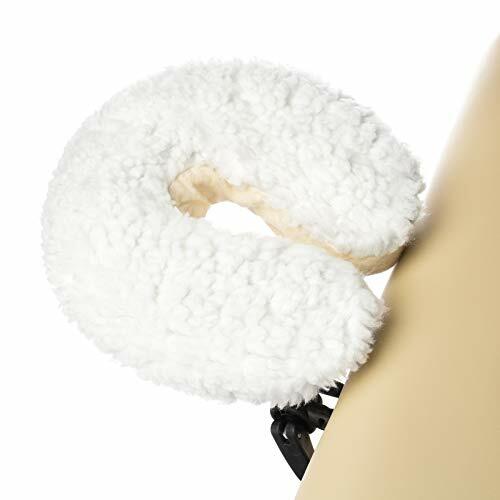 FLUFFY FLEECE COMFORT - 100% faux-fleece, lightly padded, hypo-allergenic material allows a cozy warmth and breathability for year-round use. FITS STANDARD FACE CRADLE - Sized to fit almost all standard massage table headrests, the elastized headrest cover is compatible with "U"," C" and crescent shaped pillows. DURABLE MATERIAL - Made from premium weight 460 GSM (grams per square meter) dense polyester faux fur, this cover features a heavy-duty commercial strength while retaining original soft comfort and fit. EASY CARE - For best results, gentle machine wash soon after use and low-heat tumble or hang to dry. SIZED TO FIT - Includes a 13" x 13" x 5" headrest cover.